The #NextGenATP Italian advances to the second round of the ATP Challenger event. 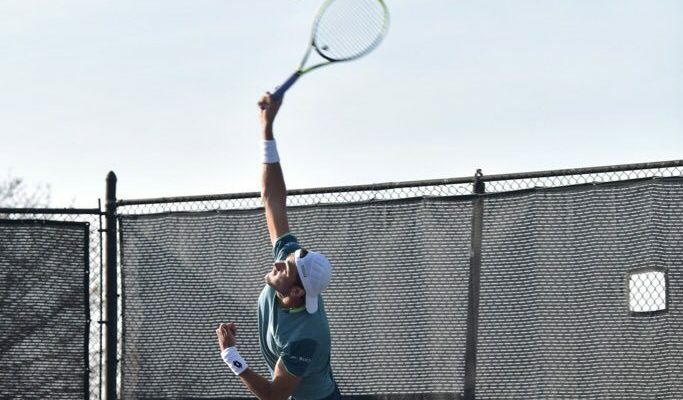 #NextGenATP star Matteo Berrettini caused the upset of the second round of the $150,000 Irving Tennis Classic held at the Four Seasons Golf and Sports Club at Las Colinas. The 21-year-old Italian knocked out the tournament’s No. 1 Yuichi Sugita of Japan 3-6, 6-1, 7-6 on Wednesday. Berrettini fired 13 aces, winning 71 per cent of his first service points to prevail after one hour and 57 minutes. The World No. 108 from Rome will next challenge US-American Tim Smyczek, who defeated Pedja Krstin of Serbia 6-4, 6-3. Sixth seed Maximilian Marterer also fell in the first round of the ATP Challenger hard court event. Australian young gun Alex de Minaur edged out the 22-year-old German 6-4, 6-3 in one hour and 18 minutes. The teenager from Sydney, who entered the main draw with a wild card, saved both break points he faced, converting three of his own to next face Russian veteran Mikhail Youzhny. Jared Donaldson remains the highest ranked player left in the singles draw. The World No. 48 and second favourite of the tournament beat Radu Albot from Moldova 6-4, 7-6. The 21-year-old US-American will next play Mikhail Kukushkin of Kasakhstan. Donaldson will be joined by compatriot Steve Johnson in the second round. The No. 3 seed from California fought past Ukrainian Sergiy Stakhovsky 5-7, 7-6, 6-4. Johnson broke serve six times to secure victory in two hours and 20 minutes. He will next take on Lukas Lacko of Slovakia. This entry was posted in ATP Challenger Irving, ATP Challenger Tour and tagged ATP Challenger Tour, Irving Tennis Classic, Matteo Berrettini.